At least it’s a joke at all. I can’t even fathom screenshotting what I got in mine (think slim to nothing where slim was on the first planet consumed by the Varelsi). Now that we know that Lootpocalypse is a thing maybe we should start hording these epic loot packs until the next Lootpacalypse event when they have a significantly higher chance of dropping legendary gear. So given that we didn’t have to spend any credits to get them maybe the urgency to open them immediately will be tempered. 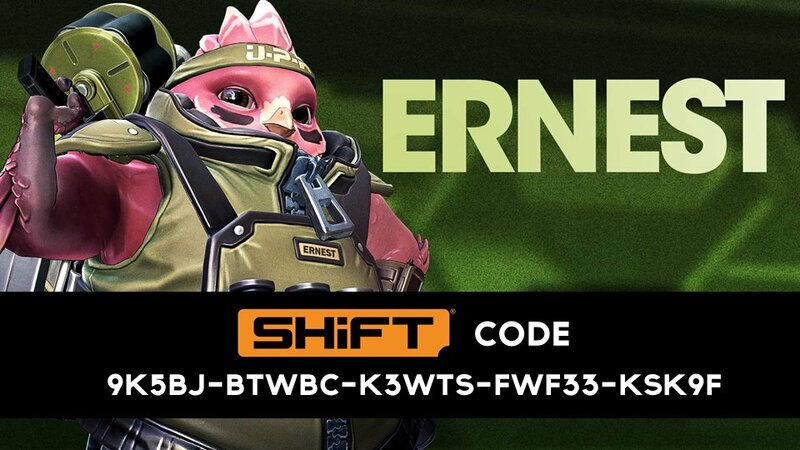 @JoeKGBX Any word on further updating SHiFT in Battleborn? So I’m SOL for those skins? For now, yes. In the long term? Probably not. I can’t get the Ernest gold skin code to work on the Xbox. I keep getting code redemption fail error. Done, thanks for the reply, is there some average waittime till i get a reply? You should get an auto-response within 24 hours. Depending on volume of tickets, my experience is 2-3 days for an actual response. Waited less than 2 hours and got helped! Thx GBX! I refuse to use Gbox support after my last attempt. Known bug with Jack and the Elevator on The PreSequel and the reply I got back was: Check your game files. Seems to be a bit of RNG in the nature of the response, depending on who actually looks at the ticket. At least, that’s been my experience. Is that the bug where Jack gets stuck and doesn’t enter the elevator? I think that may be one of those “don’t get in front of the NPC” pathing issues. I’m always running around opening containers, so Jack always gets there before I do, and I’ve never had that particular glitch. I refuse to use Gbox support after my last attempt.Known bug with Jack and the Elevator on The PreSequel and the reply I got back was: Check your game files.